Our purpose is to raise funds to benefit the Serving Our Kids Foundation. The non-profit charity provides food and personal care items for the more than 3,200 homeless and in need children in 60 schools, within the Clark County School District, each week. As of the start of the 2018-2019 school year, Clark County School District had more than 13,500 homeless children registered. Children don’t ask to be homeless and they need our help!! Kids Helping Kids is sponsoring this event and we are asking for your assistance by placing an ad in our program book or through direct donation. We ask you to please consider placing an ad supporting the bowlers, possibly in a coupon form so it would entice the participants and spectators to visit your establishment. Our first 10 events raised more than $75,000.00 to provide for the weekend food & personal care items program for Serving Our Kids Foundation. Serving Our Kids has served over 400,000 weekend food bags and growing! Get noticed by sponsoring a lane! For a $300 Lane Sponsorship, your company name and logo will be displayed at the end of the lane, and your company logo will be posted along with your donation on our event on the Bowlathon.net website. Click Here to become a Lane Sponsor. To join us as a bowler, you can Start a Team or Sign Up as a Bowler to join a team, or we can assign you to a team in need of bowlers. Once you are registered to bowl, Start collecting pledged! Download the Bowl-A-Thon Pledge Sheet and get started having fun and earn terrific awards while attaining donations for this very worthwhile cause. Ask friends and family to sponsor you for a price per pin or have them donate a flat fee per game. Three games will be bowled and donations will be based on your three game total score. If a bowler gets sponsor money of $100. or more they get discount on bowling. ** Top prize in each division will be awarded based on your achieving your level of club membership. Prizes will be award per member status attained. ** Gold Club Member status must be achieved to receive the top prize award. Serving Our Kids Foundation is a great organization and Argentum Partners is proud to support the Kids Helping Kids Bowl-A-Thon. 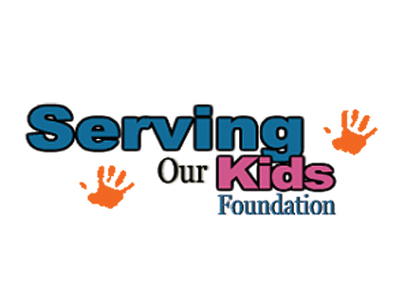 Serving our Kids Foundation is a grassroots, volunteer organization established to utilize the strength of community volunteers and donations to ensure Clark County youth are fed for the weekends. We will provide personal care items to area youth as well. Serving our Kids Foundation is dedicated to feeding and serving the needs of Clark County Homeless and at-risk children. The foundation will rely on community organizations and volunteers to make this possible. For more information, visit our website at ServingOurKids.org.